A baseball cap can offer sun protection for hair. As you set your 4th of July plans in stone, it’s time to start thinking about what you’ll wear and most importantly, what you want to do with your hair. Proper sun protection for hair, including a hydrating shampoo, is a must, but you’ll need to plan ahead for how you will wear your hair for this special occasion, especially when you consider the heat of a July summer day. The first step in creating the perfect hairstyle for your 4th of July events is protecting your hair from the negative effects of the sun and the chlorine in the pool if you plan to spend some time there. Hydrating shampoo is the ideal way to regenerate your hair to fight against the drying effects of the heat and any chlorine in the pool. Regardless of how you do your hair for the festivities, you can be sure your tresses are fully protected and beautiful. 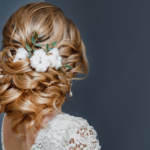 Leaving your hair down isn’t appealing on a hot July day, but there are plenty of fun ways you can dress up your hairstyle. Never tease your hair because humidity doesn’t work well with this hairstyle method. A ponytail is an easy way to keep your hair out of your face. Pigtails can also be a cute way to change up the typical ponytail. Braids are also an excellent alternative, keeping your hair tightly in place. If you want to take your patriotism a step further, braid red, white and blue ribbons together and weave them into your braid. Be sure to tie off any ponytails, pigtails or braids with a red, white or blue ribbon or bow. 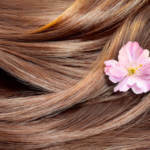 Learn how to care for hair extensions in the sun. Regardless of how you put your hair up, another method of sun protection for hair is to cover it up with a fun hat. There are many options from which you can choose, including a baseball cap from your favorite sports team, a big floppy sun hat adorned with red, white and blue flowers or other American flag accessories, such as bows, headbands or hats. June and July are the perfect time to find the most amazing flag-themed accessories so be sure to stock up whenever you see them. The 4th of July is a great time to get creative with your hairstyles and show off a sense of patriotism. If you wear hair extensions, you’ll need to make sure you know how to care for hair extensions and ensure your hair looks its best, even when you’re out in the sun all day long. With your hair pulled back and adorned in this country’s iconic red, white and blue, you’ll be dressed and ready for anything the day brings, from parades to picnics to fireworks. If you need to learn how to care for hair extensions, contact us. We have the ideal products for keeping your hair extensions looking great. What Happens If Your Remy Hair Extensions Get Wet?